Infinity pools are one for the bucket list, allowing you to swim in style, soak up standout sunset views and snap some amazing Instagram worthy photos. Adding something truly special to your escape, here’s our top infinity-edge spots in stunning hotels you won’t be able to resist. If you’ve been searching for an out-of-this-world hotel, look no further! 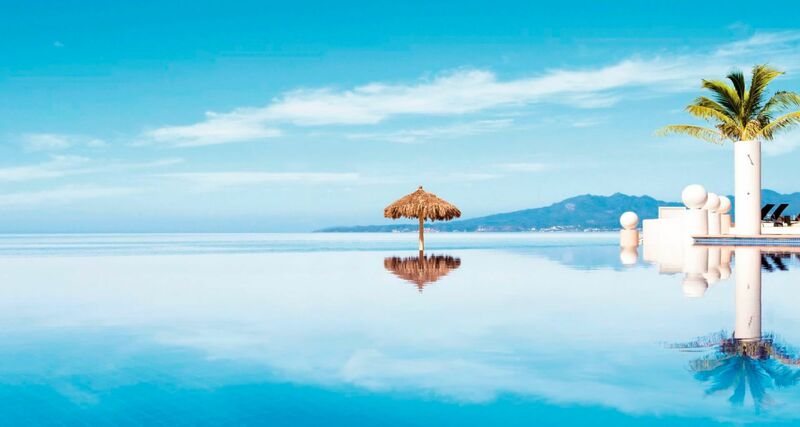 This Mexican resort has luxury down to a T. The motto here is the bigger, the better and that’s why the Dreams Villamagna has one super-sized pool. You won’t want to leave once you catch a glimpse of the dreamy mountain backdrops and that seemingly never-ending horizon. It’s the ideal wedding or honeymoon spot with rooftop sushi bars, beachside pools and forest surroundings. No matter what time of the year you head to Tenerife, this Canary Island offers you the gift of eternal sunshine. 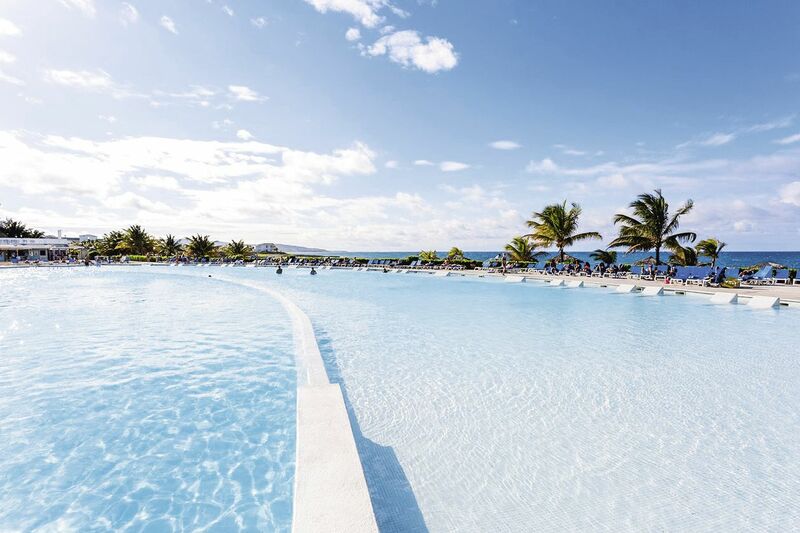 Leaving you with ample opportunity to take advantage of TUI Sensatori’s first-class features all year-round. You’ll be lured in from the moment you walk through the door, captivated by the oversized fountains, deluxe rooms, gourmet food and an infinity pool that puts others to shame. When you’re not tan-topping on the in-water beds, you’ll be soaking up the extensive landscape, gazing out onto the stunning white sand beach. Indulge in a week of diamond facials and Indian massages – that much need relaxation you’ve longed for is waiting for you. 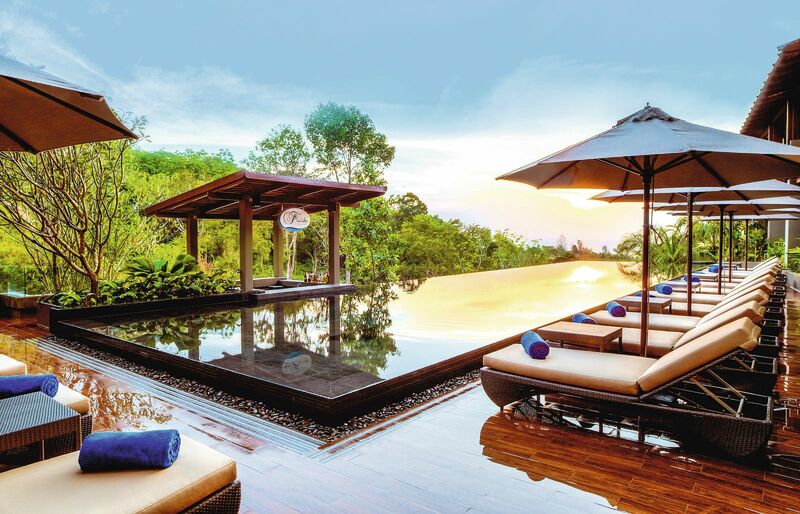 If a breathtaking escape to Thailand wasn’t already a treat, you’re in for a surprise with the Avista Hideaway Resort. Huddled away in the hilltops, relaxation awaits. This Platinum resort is nothing short of stylish, with suite rooms as standard and a state-of-the-art pampering experience. But the main focus in this fancy Thai hotel is the lookout point from the infinity pool, allowing you to almost touch the rainforest in front of you. What other excuse do you need to indulge in a cocktail from the swim-up bar and watch the sunset? 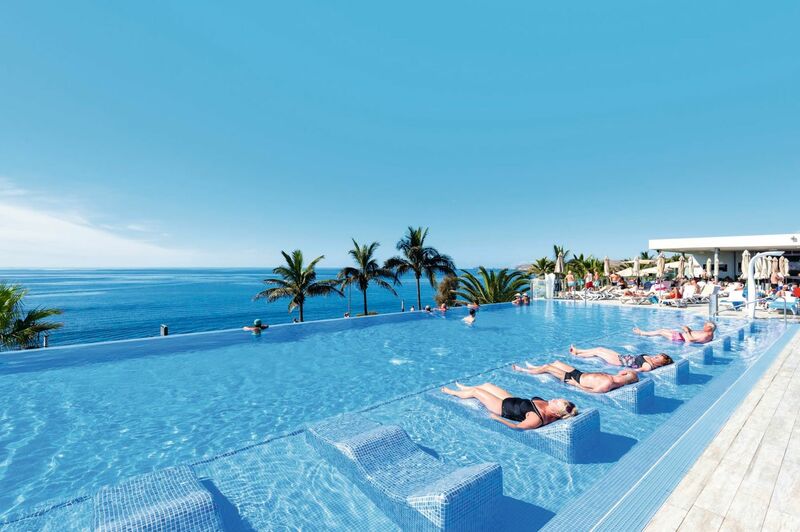 Just to top off your magical experience, the pool is accessorised with over-the-water sunbeds. Full of cultural wonders and sensational backdrops, Dubrovnik is not only the home to TV phenomenon Game of Thrones, but the stylish Lafodia Hotel. 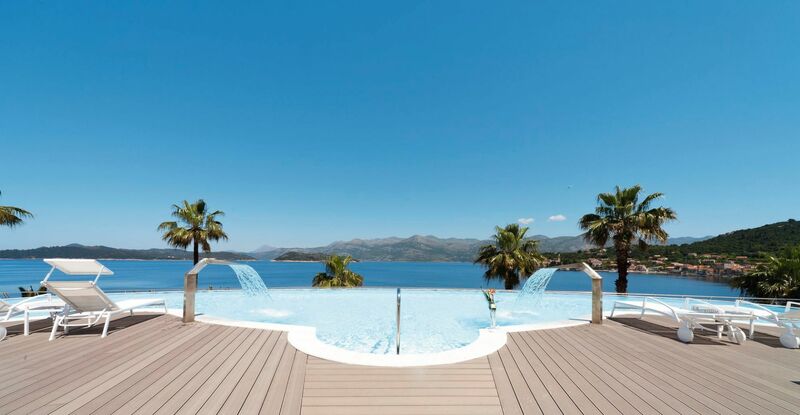 This hotspot has relaxation covered with one of the finest infinity pools on the island, besides after you’ve spent the day tackling the great Dubrovnik wall, you’re going to need it. Nestled away from the outside world, this boutique-feel hotel is perfect for escaping. With the pretty harbour side, pebbled beach and open-air hot tub, what’s not to love? Hide away in jasmine-filled gardens with the Grecotel White Palace hotel where tranquillity oozes from every swanky corner. Placed on the beautiful Greek island of Crete, you’ll have some of best views of the island right from your hotel. Along with a private Blue Flag beach, the poolside is just as secluded. 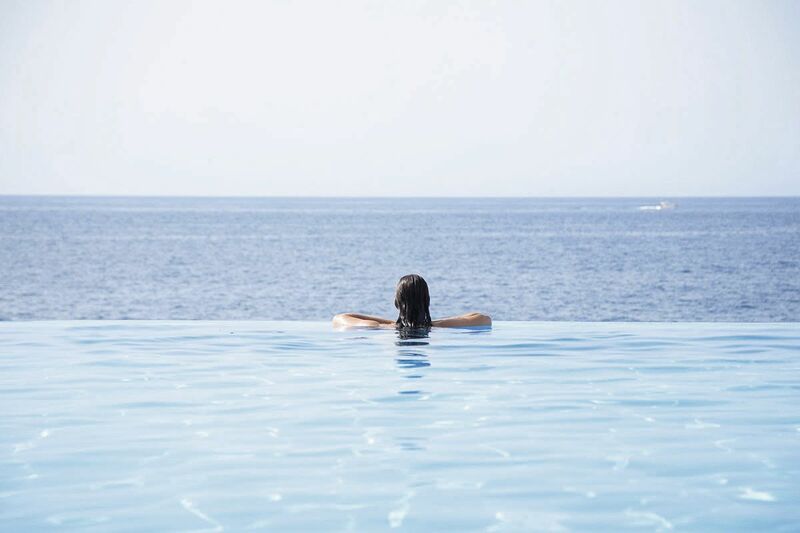 This infinity number means taking a dip is an absolute pleasure, especially with those glittering sea front views. Underlined by a private beach, escaping the outside world is more than achievable here. This place serves relaxation on a platter with a carefully crafted spa treatment list, yoga sessions in the botanical gardens, and a super stylish room ensuring a great nights rest. Known as Europe’s scenic hotspot, Portugal is the home to the Floating Garden and most importantly, home to some of the finest wines around. So grab a glass of tasty red, head to the impressive pool area at the Vidamar Resort and soak up the unbeatable views. When you’re done taking photos — hopefully with a waterproof camera, you’ll be indulging in the hotels first-class facilities. Enjoy everything from refreshing facials, ocean-facing eateries and themed nights full of Portuguese surprises. Spend a week or two basking in relaxation, catching some rays and checking out Portugal’s delights right from your infinity edge. Named after one of the world’s most-famous painters, the Michelangelo Hotel lives up to its reputation. You won’t be disappointed by this ultra-modern set-up, where private pebbled beaches are just steps away, wooden boardwalks lie parallel to the shoreline and hot pink bean bags accessorize the bar. This Greek holiday will be nothing short of impressive when you can soak up some of the most amazing sights right from your sunlounger. 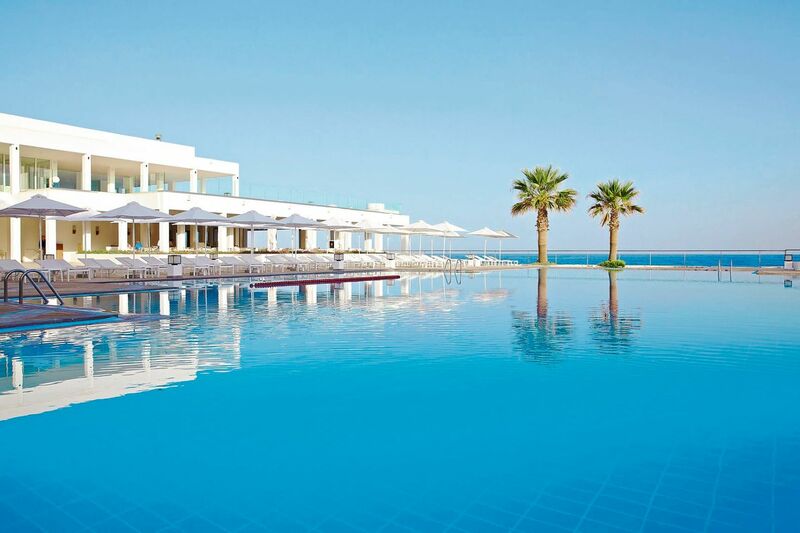 Taking centre of attention is the huge infinity pool which melts into the horizon, meaning you can experience the beauty of Kos without having to move a muscle. If that wasn’t enough the Therme Spa might just do the trick, offering a wide range of natural product treatments. All that excitement can work up an appetite, but with the open-air restaurant at your disposal, your tastebuds will be buzzing with excitement. 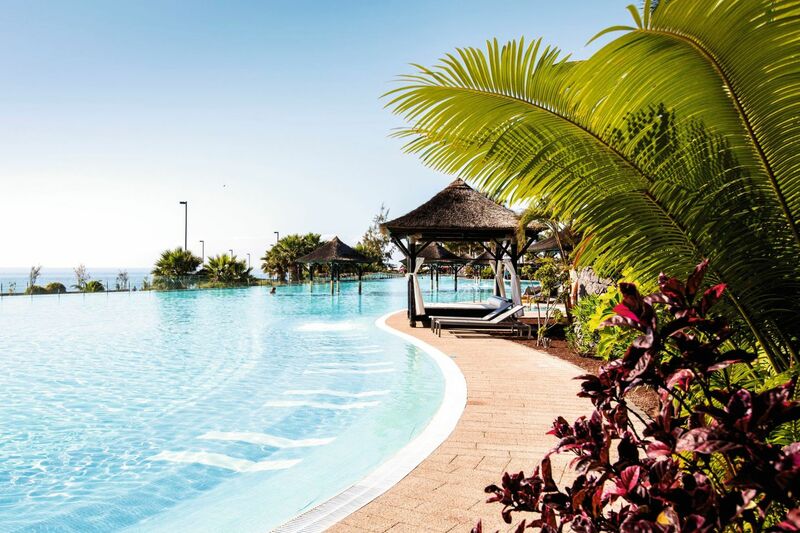 Fall head over heels for the pool scene at the ClubHotel Riu in Gran Canaria, you won’t be able to resist soaking up the sun on built-in loungers. Once the rays have warmed you up, grab a cold beer from the funky purple bar and head for the infinity pool to cool off. As if there needed to be more of a reason to head here, the four highly-praised restaurants will win you over. That’s not all, this hotel pulls out all the stops when it comes to entertainment too, and your jaw will drop with amazement at the dance acts. Just don’t stay up too late, those views will be waiting for you in the morning. Grand Palladium Lady Hamlington in Jamaica. When you’re not on the private beach listening to the sweet sounds of the Caribbean, you’ll be overlooking it from the pool edge. With not just one but two infinity pools, it’s safe to say the splash scene at Grand Palladium is one to remember. Grab a selfie in one of Jamaica’s largest pools, whilst surrounded by jungle-like forests. Then dine in one of the seven a la carte restaurants whilst sipping on Caribbean classic rum from one of the 15 bars. If you’re ready to take advantage of the luxury on offer, rest your head in style in a Junior Suite — some even include hot tubs. Don’t forget to book yourself in for a therapeutic spa treatment too! Esplendor Tamarindo in Costa Rica. Overlooking the Pacific coast in the tropical island of Costa Rica, your very own slice of paradise awaits in the Esplendor Tamarindo. Costa Rica is known for its rainforest scenery and what better way to make the most of this country’s beauty than from the relaxation of the infinity pool? Almost touching the trees and mountains in front of you, this seemingly endless pool has the wow factor. Better yet, you don’t have to move for a cocktail — making it that much easier to gaze out at the horizon with your favourite tipple. This hotel is designed to give you exclusive access to some of the most amazing scenery, so it doesn’t matter if you’re by the poolside or in your room. If Mauritius wasn’t already the ultimate getaway, the Long Beach Golf & Spa Resort might make you feel like you’ve won the jackpot. Spot dolphins playing whilst lying on immaculate white beaches and scuba dive some of the largest unbroken barrier reefs in the world. You’re never short of beauty and your hotel’s in the centre of it all. Along with standout restaurants and ultra-modern rooms, the pool is one of the most impressive features. 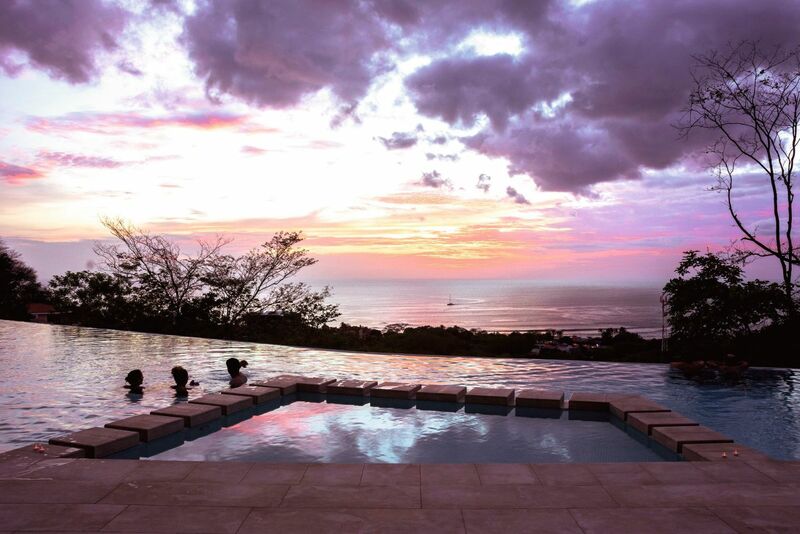 Nothing screams opulence like swimming into a colourful sunset. The massage seats, cushion sunbathing platforms and chocolate massages are something to shout about too. This hotel is like a tiny village with five eateries, numerous sports courts, gym area and hidden away gardens. 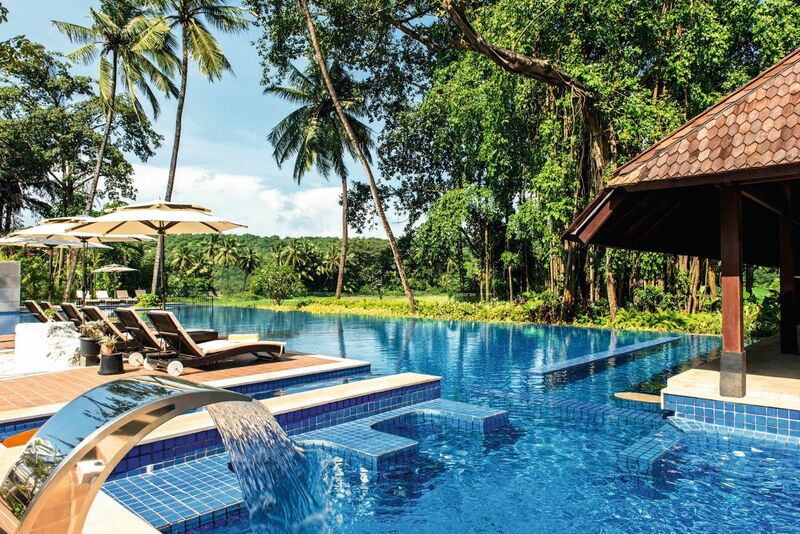 Making your holiday one to remember is the Salinda Resort, a hidden treasure on Vietnam’s island of Phu Quoc. Situated among some serious natural beauty, you won’t be able to resist Instagramming the beautiful soaring mountains, white powder beaches and green fields for miles. 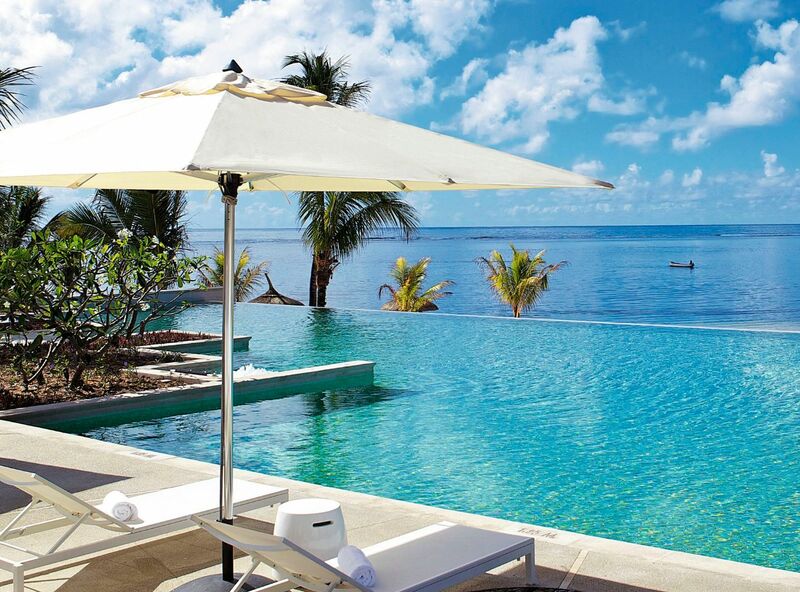 Better yet, take it all in whilst dipping your toes into tranquillity with the infinity pool at your hotel. The water will disappear into the skyline, making the stunning greenery in front of you seem almost touchable. Continuing to surprise you, your room will boast jewel-bright silks, a touch of elegance you won’t find elsewhere. Dipping into the Vietnam culture, sample some traditional treats at the first-class restaurant or stick to some home favourites in the mouthwatering buffet. 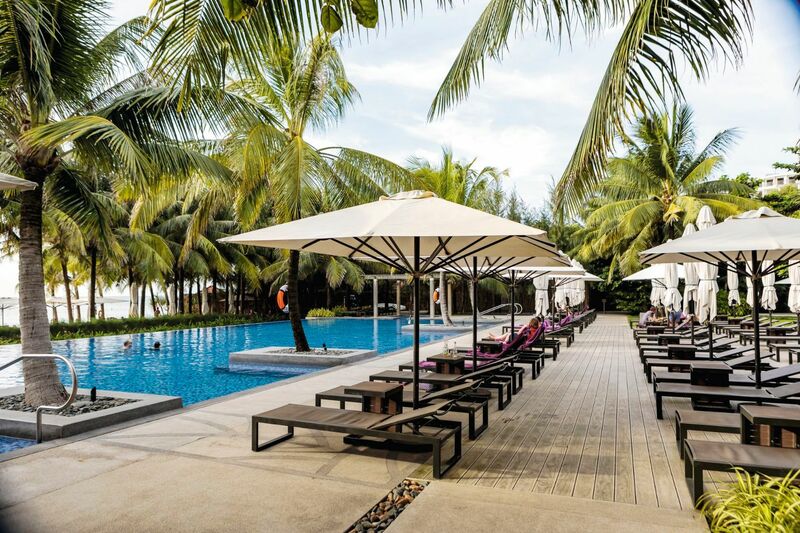 Nestled away in the peaceful gardens of Candolim you’ll find the Novotel Goa Resort, a glossy high-rise hotel complete with plush sunloungers and an infinity pool ready to wow. Surrounded by jungle-like gardens lies the u-shaped pool with in-water seating attached and accessorised with a swim-up bar. The fun doesn’t stop there! Indulge in award-winning dining, bars and a Balinese-style spa, whilst the kids have a blast joining in on the daily activities. You’re only moments away from some of the best beaches in the country, making this slice of paradise a prime choice for your luxury escape. The best part of an infinity pool is the mystery behind how it works. The illusion of a never-ending flow of water and a swimming experience with no boundaries is enough to convince anyone take a dip. But for those of you who are eager to find out the mystery behind the magic, here’s everything you need to know about those disappearing edges. What does infinity pool mean? 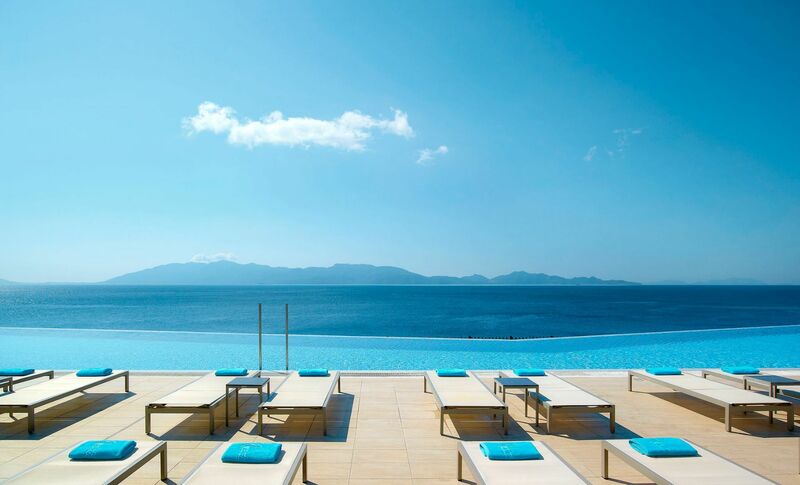 An infinity pool is set to create an illusion that you’re merging into the sea or sky with a vanishing edge effect. Usually these types of pools come hand in hand with luxurious hotels and top-notch destinations. Providing a visual affect of there being no barrier between you and your fantastic scenery, you’ll find the water in this kind of pool flows over one or more edges. Once the water falls, a small basin catches it and pumps the water back up to the pool. You’ll often find the pool edge is made up of glass or a clear material to create a better effect. 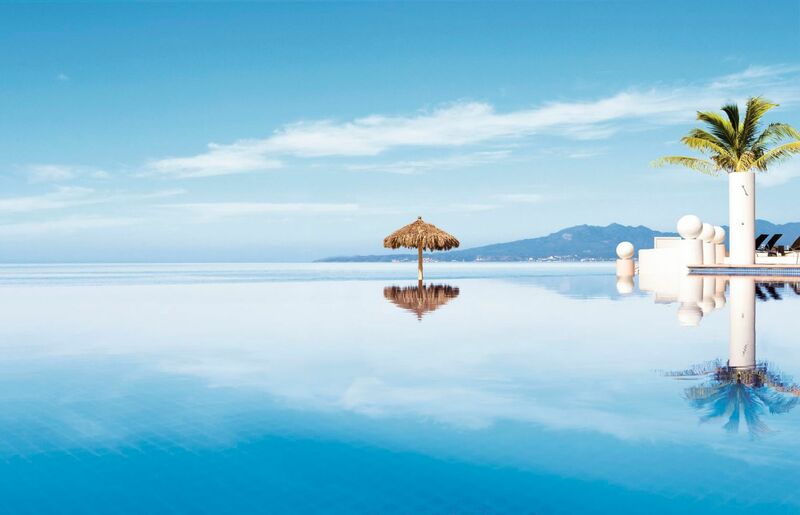 Which sensational infinity pool will you try on your holiday this year?